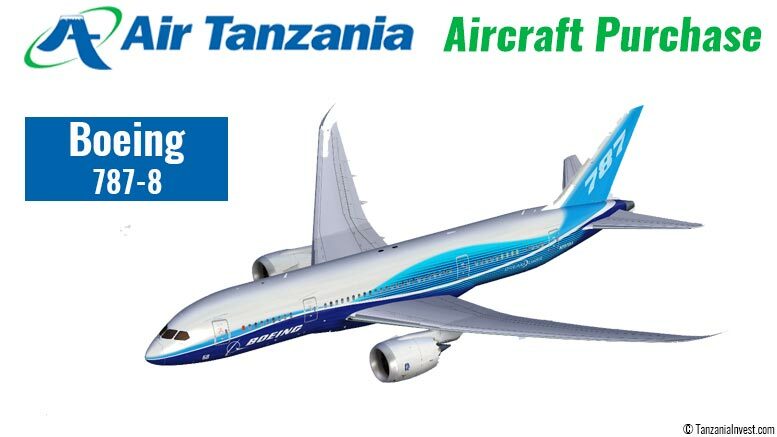 The aircraft, expected for delivery in June 2018, will be used for commercial airline operations by Air Tanzania Company Limited (ATCL), the national carrier of Tanzania. The announcement was made by Tanzania’s President Magufuli following his meeting with Jim Deboo, Director of Sales at Boeing, in Dar es Salaam on December 5th, 2016. Magufuli commented that Tanzania has less than 2m tourist arrivals per year while Morocco, for example, receives 12m tourist per year. According to Magufuli, this is due to Tanzania’s lack of sound national airlines. This order follows the recently signed purchase agreement with Canadian manufacturer Bombardier for two CS300 jetliners and one Q400 turboprop aircraft. In September 2016, Tanzania received the two Q400 aircraft from Bombardier following the previously signed purchase agreement in August 2016. The expansion of ATCL’s fleet is part of the airline’s plan to expand in Tanzania and the African region, as well as internationally.